? #WIN! We have another beautiful premium grade non needle drop Nordmann Fir Christmas Tree to giveaway PLUS a Fresh Wreath!?
? If you’ve already ordered your tree and you are drawn as the winner, a full refund will be given! ? 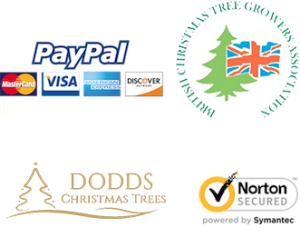 Dodds Christmas Trees Leeds deliver the most beautiful real Christmas Trees, tree stands, wreaths and other products to Leeds homes and businesses, in the most convenient way possible. Order your tree (between 4ft and 9ft in height) using our super easy online system and have it delivered to your door on a date of your choice. And don’t worry about it being fresh, we guarantee your tree will be with you within 3 days of being cut.
? To enter, all you have to do is simply: ? 3) Comment with the names of 2 friends who love Christmas! The winner will be selected randomly in a draw made on 11th December 2018. Your tree will be delivered on a day of your choice. ? If you are drawn as the winner and you’ve already ordered your tree, a full refund will be given! Send us a message or call 0113 415 2512 if you have any questions.